(Recto, print) lower center, below image, in black ink: "Close No. 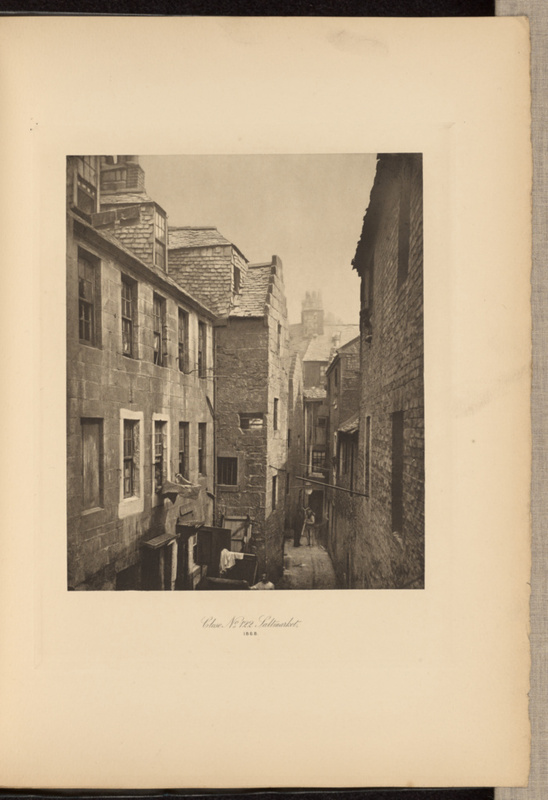 122 Saltmarket, 1868." Elevated view of a close in Glasgow. Several people can be seen, some facing the camera, others in conversation.